Composing a research paper, as well as term paper writing, is often a task that is set to represent the culmination of a student’s gathering of academic knowledge of the past few years of their studies. Whether you’re at the undergraduate or graduate level, you’ll encounter this cumbersome and challenging assignment type at some point. If you want to make the biggest impression on your scientific field of enquiry, then you’re going to need expert support in the form of custom research paper writing. The proper research paper writing format to use depends largely on two factors. Firstly, you should consider your professor’s preferences. They will most likely have been made clear at the start of your assignment, but if not, you ought to go and clarify this point. Secondly, each scientific niche has its own peer-agreed way of reporting findings. For example, a paper written in psychology would tend to use the formatting rules determined by the American Psychological Association. Some of the most significant tips on writing a research paper have to do with the structure of your work. You must follow the accepted way of writing a paper if it is to be recognized and taken seriously by your professors and the wider scientific community. Take advantage of a reliable and cheap research paper writing service, and discover how to compose your paper. Start by following these tips on writing a research paper and you won’t go far wrong in your assignment. You should focus your energy on the introduction even though the abstract will eventually crown your paper. Leave the abstract until the end of your endeavors if you want it to really shine. You must consider your methods section very carefully indeed. Aside from all the usual points about writing in the past tense and in a passive voice, you also need to think about making sure that your investigation sounds replicable. Lay out your results using the appropriate graphs, charts and even raw data, if necessary. The major factor in your success here is to restrain yourself from commenting on the data collected. The discussion section is always added after the results to enable you to have a chance to talk about the implications of your findings. When you get timely help from our top-quality cheap research paper writing service, you’ll discover the best arguments to use in your discussion. Your conclusion should mirror your introduction in some ways, except that the focus is on closing down the topic rather than opening it up. You can use it to mention what the next set of studies might be that could further your work, but leave the in-depth explanations in your discussion section. Always include a list of references that have been formatted in the correct style as outlined by your professors, college faculty, or your subject. 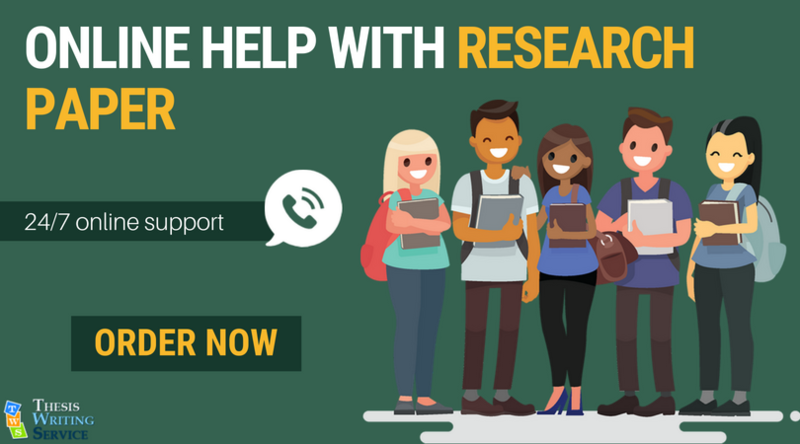 With the help of custom research paper writing support provided by consummate professional thesis writers, you’ll discover how much fun it really can be to compose a scientific article for the furtherment of your chosen field. Get in touch with one of our experts and learn all that’s worth knowing about writing for an academic audience. Research paper writing is one of those assignments that requires thorough research and a careful attitude. Our service knows how demanding the teachers and professors are. To insure your academic excellence and help you reach your goals we have created our thesis writing service where you can get a qualified help. Why Choose Our Cheap Research Paper Writing Service? We work really hard to provide our customers with the best service! We know what it takes to be successful today. Make the most of custom research paper writing help. Get in touch with a real professional for all the support you need!